#Summer2015 is one of the hottest summers ever. 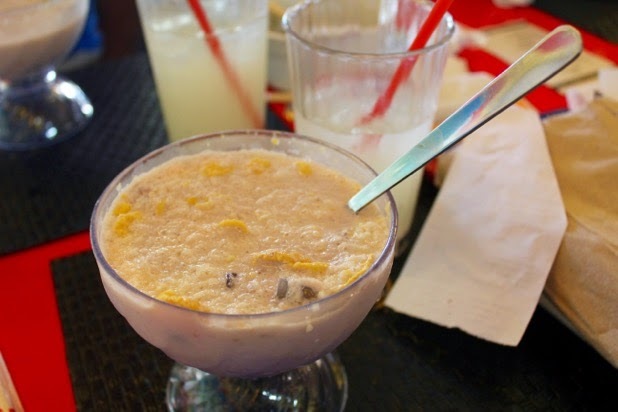 One of my favorite ways to beat the heat is to eat something cold, like Halo-Halo. I am quite choosy when it comes to halo-halo toppings. There are some places that offer too few toppings while some offer too much. I love variety, but I usually prefer to make it at home and use only my favorite ingredients. The problem of making it at home is that it takes too much effort, especially when you do not have a decent ice shaver. 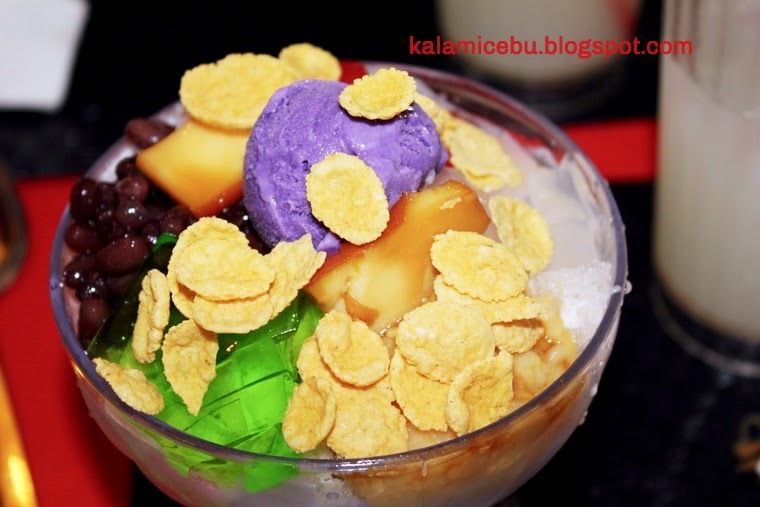 I finally found a great compromise when I discovered #KKhalohalo at Kublai Khan's. With Kublai Khan's "Check a Halo Halo", I can design my own halo halo with only my favorite toppings on it. 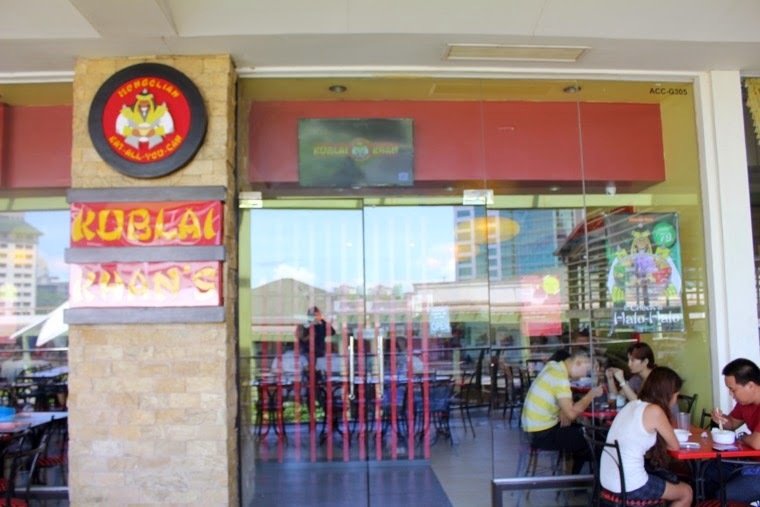 Kublai Khan's is the No.1 Mongolian Restaurant Chain in Cebu. It offers eat-all-you-can Mongolian bowls at an affordable price. 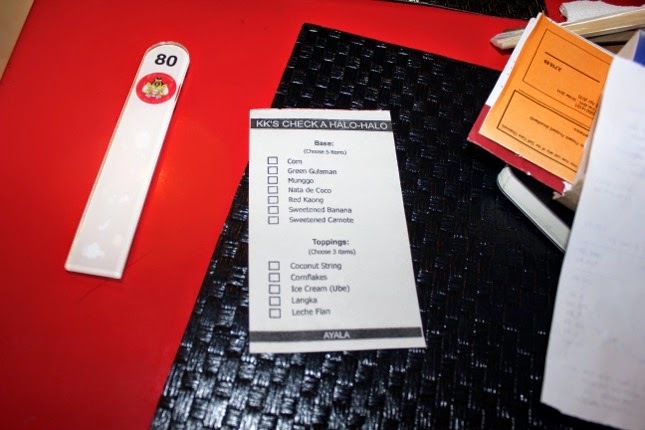 For people who do not have the appetite of a Mongol Warrior, one of the best alternatives would be their "check-a-bowl" where a customer can customize their Mongolian rice or noodle bowl using their favorite ingredients and sauces. This create-your-own meal concept is adapted to their halo-halo. I personally think it is a brilliant idea. 1. Pick 5 among the Base Ingredients. Your choices are Corn, Green Gulaman, Nata de Coco, Red Kaong, Munggo, Sweetened Banana, and Sweetened Camote. 2. Pick 3 among the Topping Choices. You can have a combination of Coconut String, Corn Flakes, Ube Ice Cream, Langka, and Leche Flan. 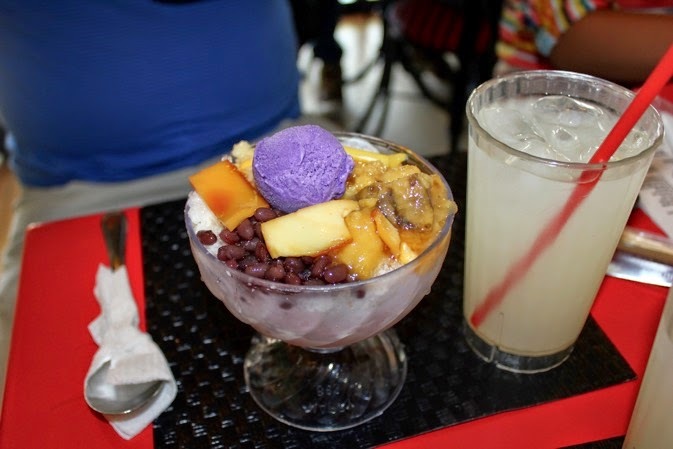 Kublai Khan's check a halo-halo is only 79 pesos. You may add 20 pesos if you like to get all the toppings and base ingredients. There will be practically dozens of possibilities with this Filipino summer favorite at Kublai Khan's. I picked Munggo, Green Gulaman, Red Kaong, Corn, and Nata de Coco as base ingredients topped with Ice Cream, Leche Flan, and Corn Flakes. It looked so yummy and I relished every spoonful. My #KKhalohalo tasted so good! The ice was finely shaved and there were no hard lumps. The halo halo had the right amount of sweetness and the ingredients I chose really complimented each other. I can honestly say it was one of the best halo halo I ever had. 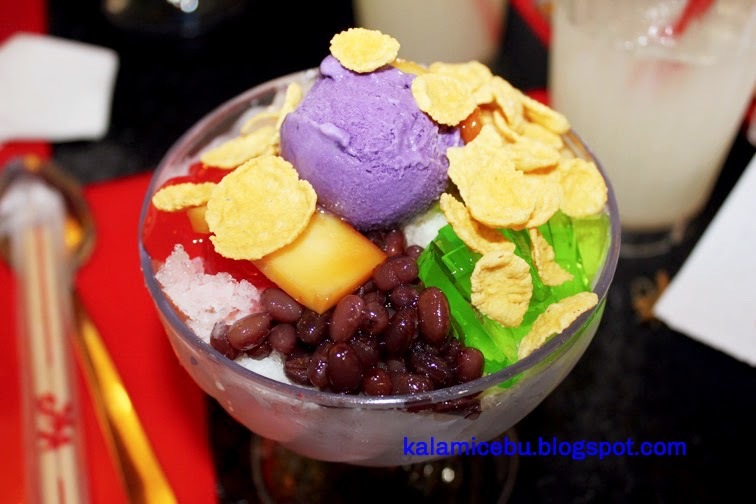 If you are looking for a great summer treat, I recommend that you go to Kublai Khan's Ayala Terraces and Check-a-Halohalo.